Bring back memories of your younger years with the Totally 80s Flyer. 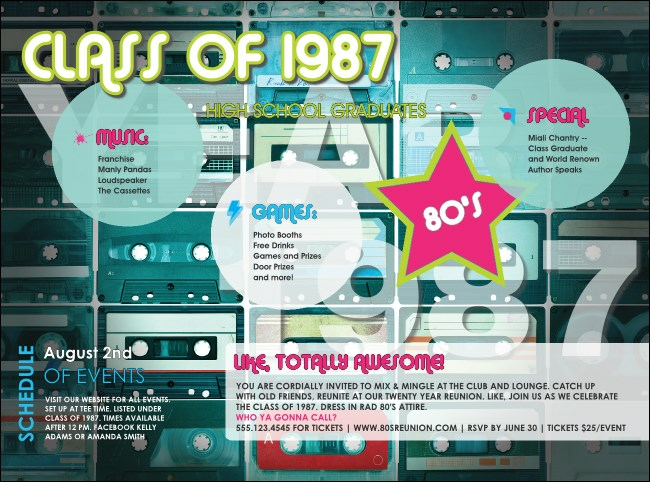 With plenty of room for your 80s-themed event details, the flyer features noticeable neon colors with a mix of cassette tapes in the background. Deck out your retro party or reunion with a Matching Event Kit! Don't forget about TicketPrinting.com when planning your next retro event!